Slightly late with this post but like they say better late than never, right! My Christmas, New Year and the first week of January 2019 was spent in my favourite part of the world, yep California! As I go there SO much and have blogged about the best things to do there previously, I’m not going to dedicate another post to Cali. Instead, I’m focusing on Arizona. Arizona, especially Sedona and the Grand Canyon, is one part of the USA I have always wanted to go to but haven’t had the chance on previous trips. Since I was in California for 21 days I thought it was a great opportunity to set some time aside to visit this scenic state of America, in between family functions in LA. I did the long drive from California to Arizona with a few days stopping over in Palm Springs. I say long because the drive is long -it took about 7 hours from Palm Springs to Sedona but it’s all good because the views are out of this world! The drive back to Los Angeles was even longer - not going to lie I was exhausted especially given the fact I had to drive straight to a Christmas Eve Party! One thing to note is the time difference – to my surprise, Arizona is one hour ahead of California, that means you lose an hour going out there but you do gain 1 hour on your way back to LA! 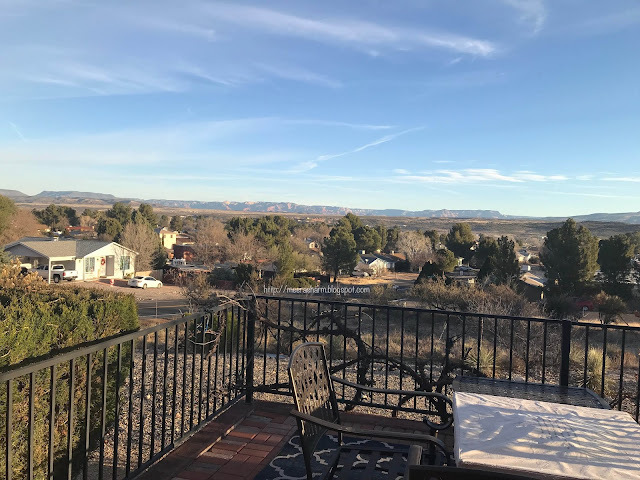 We stayed in a lovely Airbnb in Cottonwood – the morning views were out of this world! The Airbnb was approx. 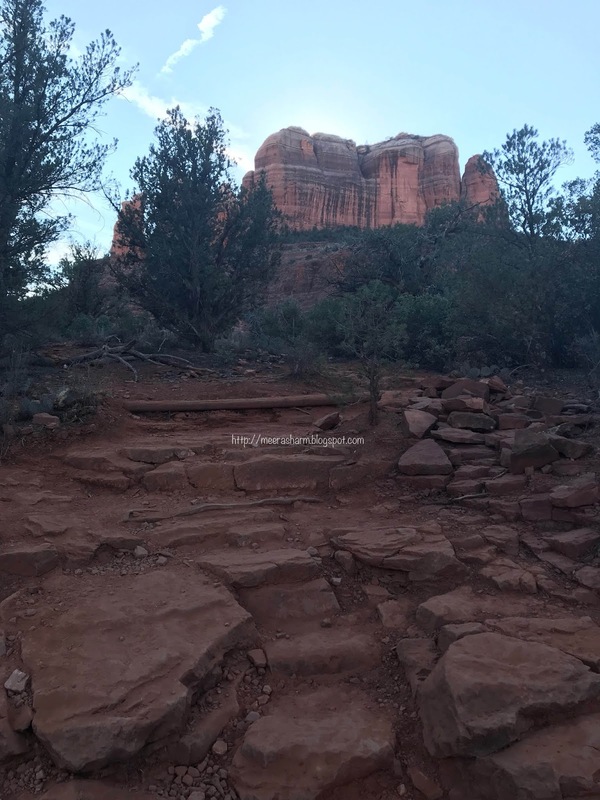 25-minute drive to the main part of Sedona and all the hiking areas. Highly recommend! Views from Airport Mesa - can literally see the whole of Sedona! Sedona is known as a sacred place, and depending on your beliefs this might be appealing to you. I for one am all about energies, so I was intrigued to witness the vortexes of Sedona for myself. In case you are wondering what the vortexes are (and to save you having to Google it), they are said to be swirling centers of energy that are conducive to healing, meditation, and self-exploration. These places are where the earth seems more alive with energy.! If the vortexes sound up your street then they are found at Airport Mesa, Cathedral Rock, Bell Rock, and Boynton Canyon. I recommend going to Airport Mesa at the end of your day so you can catch the sunset over the whole of Sedona – views are breathtaking! Other places I recommend you see include the Amitabha Stupa and Peace Park (it really is serene! 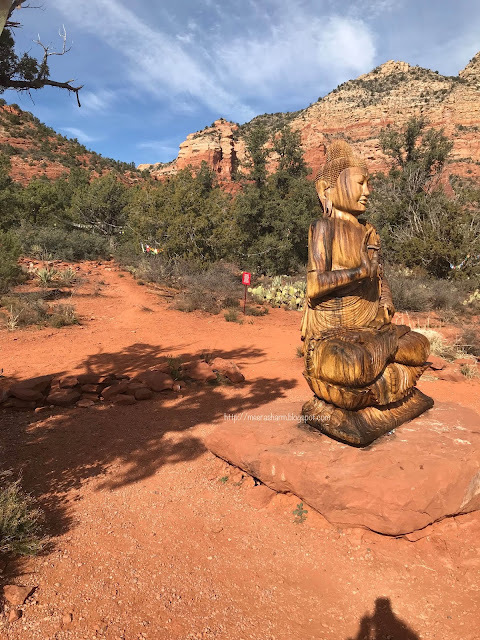 ), Chapel of the Holy Cross (this is so high up that the views across Sedona are unreal), and explore W State Route as there are some cute vintage shops, arts and crafts, and new age shops in the area! 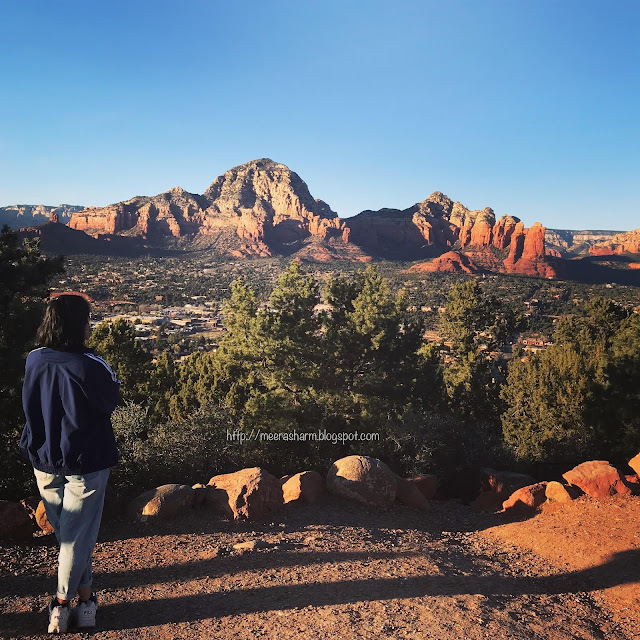 Unfortunately, due to various commitments in LA, I was only able to spend one full day exploring Sedona (3 nights – 2 days traveling back and forth and one day in the Grand Canyon) and this really isn’t enough time. You can spend a good 5 days in the area exploring and hiking! 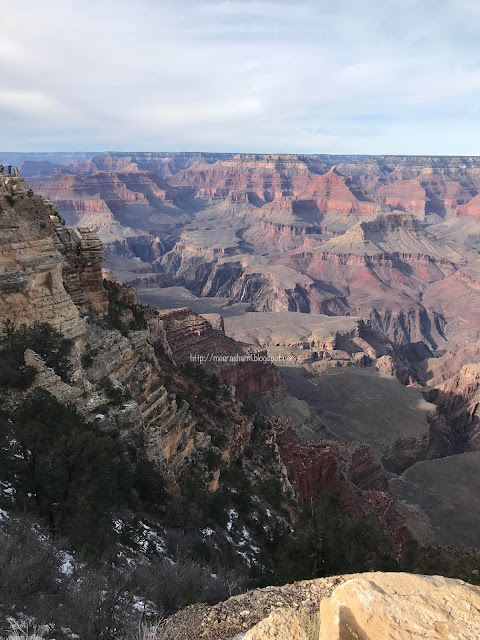 With the south rim of the Grand Canyon located only 2 hours (driving) from Sedona, there really is no excuse not to pay a visit to this absolute beauty of nature! 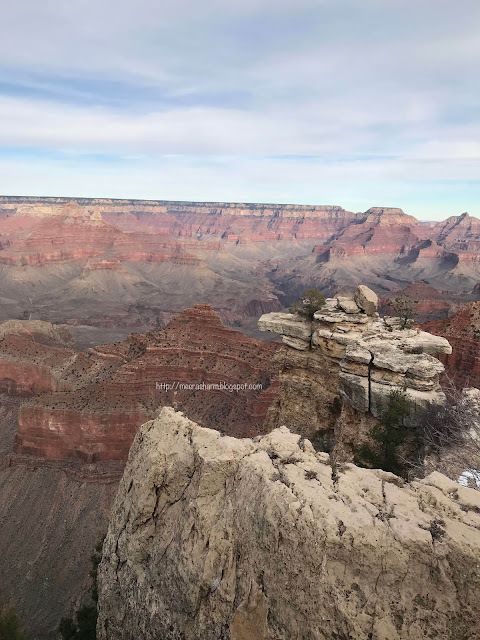 I’ve always wanted to go to the Grand Canyon and I can say that it really does go above and beyond expectations – photographs do it no justice as it’s out of this world! 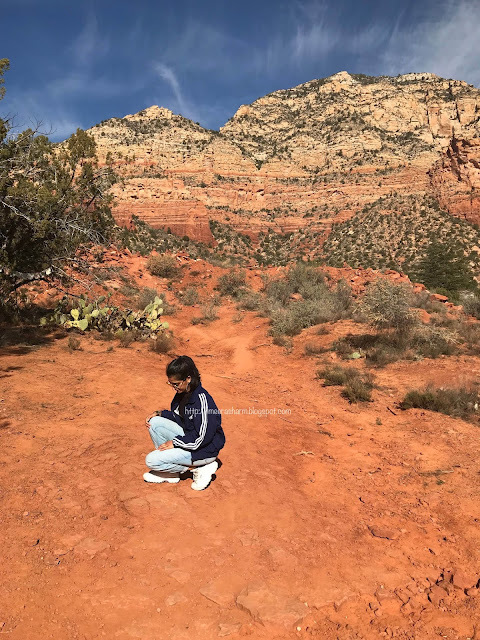 You can walk around the canyon and get up close and personal with the views – I recommend leaving Sedona early to arrive at the Grand Canyon before midday. It’s also a great place to catch a beautiful sunset! 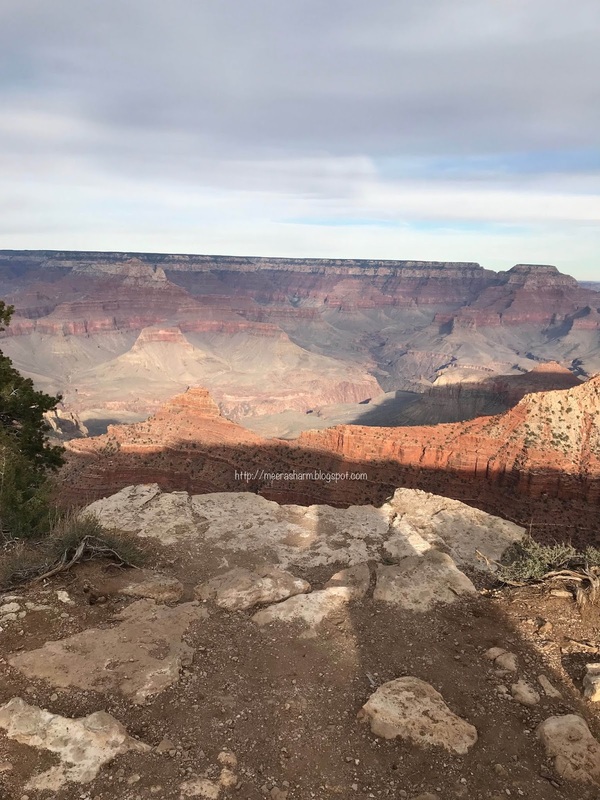 I’m aware you can catch the Grand Canyon from Vegas (the west rim) but according to various blogs, the south rim is the better half! So I really do recommend you save a day to visit if you are in the area! So that’s my quick round-up of Sedona and the Grand Canyon, like I said I do think you can spend at least 5 days allowing you to soak up the scenery and maybe even drive into Phoenix (it’s about 1.5 hours from Sedona) but if like me you don’t have much time then I recommend the above points! If you’ve visited Sedona then leave your recommendations below!